This light has come on because a system in your car has a malfunction which is effecting your emissions. The rule of thumb is… if the car is running ok and the light is not blinking, schedule an appointment at your earliest convenience. Two points to mention: #1- If this light is on you will not pass DEQ. #2 – This light can come on for more than one malfunction. This light indicates a malfunction in the Safety Restraint System (SRS). The SRS includes airbags, seatbelts, occupancy sensors, impact sensors, etc. You won’t break down when this malfunction is occurring, however, in the event of a collision, YOUR AIRBAGS WILL NOT DEPLOY! In the ‘old days’ humans were the ABS. If the car started to slide we were taught to pump the brakes not slam on the brakes and lock them up. 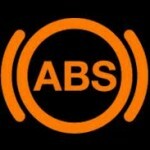 Today the ABS is a computer controlled system which pumps the brakes for us. If your vehicle starts to slide – stomp on the brakes and steer! The ABS is separate from the hydraulic brake system – when ABS is malfunctioning you will still have brakes – but you are the ABS until a repair is made. 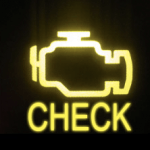 This light means your engine has low oil pressure. 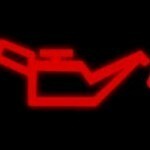 Low oil can cause low oil pressure but- not always. This is a red warning light – stop driving. Check your oil level – if its low- add some oil and see if the light goes out. If the light stays on- call a tow truck. Lack of oil pressure will cause engine damage. 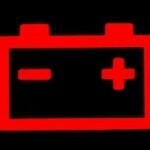 This light indicates a malfunction in the charging system – quite often the alternator. It rarely means your battery is failing. If you continue to drive when this light is illuminated – your vehicle is running directly off the battery. Imagine leaving a flashlight on overnight – it gets dimmer and weaker and eventually quits. Your car will do the same thing as it drains the battery down. This light warns you that a tire or tires have low air pressure. Low tire pressure reduces fuel economy and poses vehicle safety concerns. 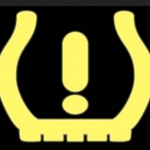 TPMS has been mandated equipment on all 2008 and newer passenger vehicles in the United States.